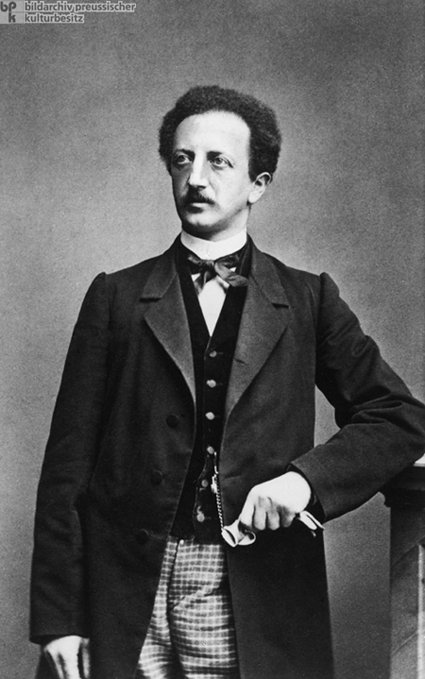 After many years of struggle on behalf of working-class concerns, the German politician and publicist Ferdinand Lassalle (1825-64) founded the General German Workers’ Association in 1863. This group became part of the Social Democratic Party in 1875. In his founding manifesto, the “Open Letter” (1863), Lassalle advocated not only for workers’ rights but also for parliamentarism and a democratic franchise, promises not honored by the liberals. Severely criticized by Engels and Marx, Lassalle attempted – in vain, as it turned out – to move closer to Bismarck and reconcile state and workers’ interests. Lassalle died in Geneva in 1864 from injuries resulting from a duel. Photo, c. 1860.